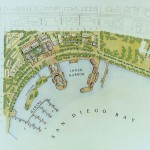 Situated at the crescent of San Diego Bay, the 28-acre site has been master planned for recreational, retail and commercial uses, as well as, public open space along San Diego Bay. 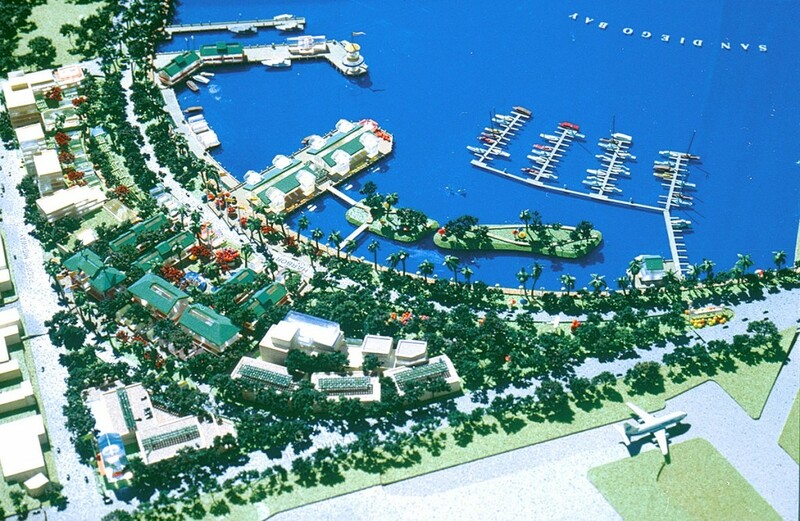 Specific program uses include: over 232,000 SF of retail space, the Corporate World Headquarters for Solar Industries, an ocean aquarium research center, marina, transportation center, America’s Cup Facilities, and hotel site. 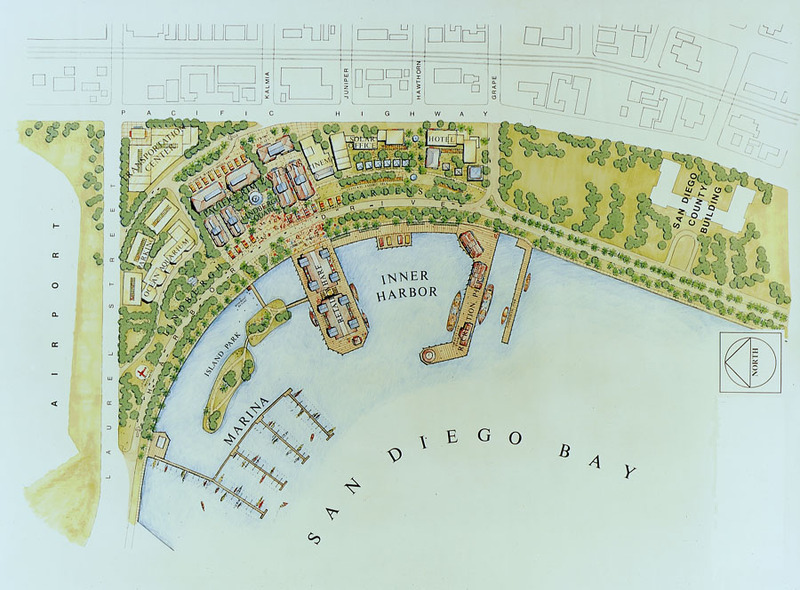 The master plan for the site takes its cues from the existing city grid and the crescent shape of the Embarcadero along San Diego Bay. The design parti integrates the variety of circulation systems at this important node while maintaining view corridors. To promote greater participation by residents and visitors alike, pedestrian activities and related programs (aquariums, America’s Cup Center, retail shops, etc.) are located along and in the bay. 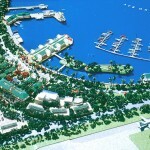 Similarly, other uses such as the transportation center are located within the framework of the city. This project was a joint venture of Martinez + Cutri in association with Ben Thompson and Jack Robertson.